TAGBILARAN CITY, Bohol, October 20 – In consonance with the Philippine Organic Act of 2010, which seeks “to promote, propagate, develop further and implement the practice of organic agriculture in the country” the Department of Agriculture (DA) through the Agricultural Training Institute (ATI) continuously conduct training and extension activities geared towards organic farming. 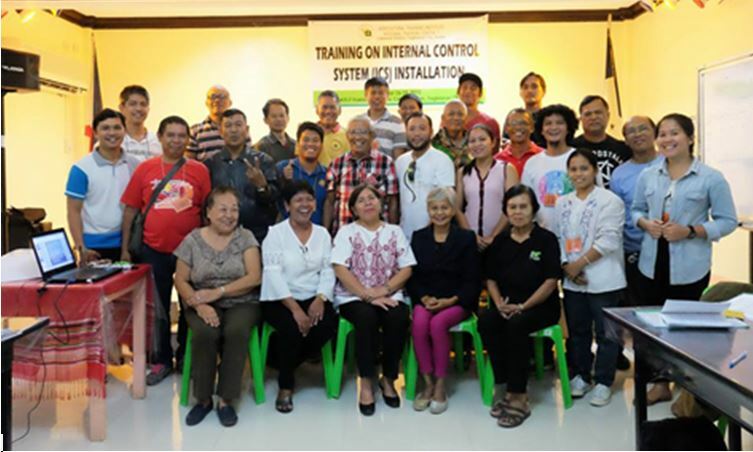 Recently ATI Region VII conducted training on Internal Control System (ICS) to 30 organic farmers and agriculture technicians from the different parts of Bohol on October 16-19, 2018 at ATI-7 Regional Training Center, Cabawan District, this City. ICS system which is part of the certification process to be complied by the organic producer to be certified. It has been known that Organic Act stressed for the promotion of community-based organic agriculture systems which includes farmers’ produced purely organic fertilizer such as compost, pesticide and other farm inputs, together with a nationwide educational and promotional campaign for their use and processing as well as adoption of organic agriculture system as viable alternative. The 4-day training involved lecture-discussion, structured learning exercises, workshop, critiquing and evaluation and mock-up demo of ICS installation with the members of the approving body, quality control and inspection committee doing the participatory guarantee system process at JQL Farm, Luyo, Dimiao, Bohol. Said farm is a Learning Site applicant of ATI-7. ICS training was aimed to produce more organic certified producer, increase the availability of organic certified products and to protect the consumers from fake organic producers. Participants were encouraged to re-echo the training to other farmer or farmer leaders and to come up with a re-entry/action plan as part of training output. The pool of resource persons wereJannelGeconcillo and Merlissa I. Garcia who were Negros Island Certification Services (NICERT) Inspectors, while Andrew M. Macaambac acted as project officer and assisted by Jun Alguin Oliver of ATI-7.